We got our first chickens in May 2014. We named them after Arnold's mom and her sisters: Leny, Rie, Tonny and Dora. They were very tame and funny animals. We feed our chickens non-GMO chicken food and regularly we give them vegetables from our garden as well as clover and daffodil leaves and left-overs. Since almost all of our own food is organic they won't get any pesticides, hormones or other additives. 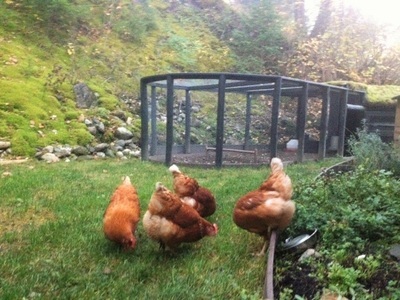 Every day we let them out of the chicken coop to roam around on the lawn and eat some grass. After a few years they stopped laying eggs. At first we thought about butchering them when they would get to old to produce eggs, but in time we got so attached to them! We couldn't imagine ever killing them! Our friend Andrew, at whom's place we have one of our bee yards, offered to give them a place to retire :-). Last spring we got 6 new chickens. 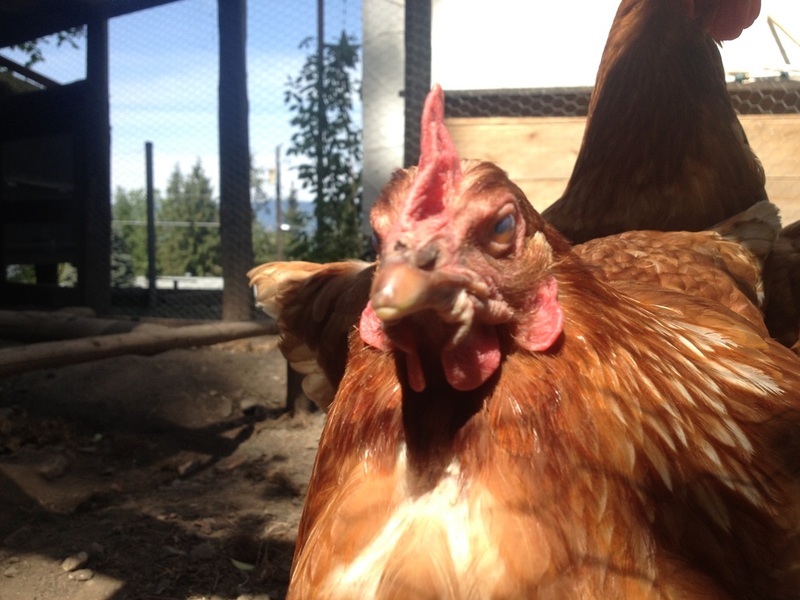 Although they all gave us an egg every day they didn't seem very happy, despite the good life we thought they had. They pecked each other and seemed very nervy. We decided to have them slaughtered before the winter. That was a though decision. We hope to get some new chickens in April. We look forward to have some cackling around our house again! Roaming around in our backyard. They're not very photogenic!